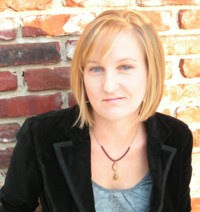 If I were able to write like any particular YA author, it would be this awesome lady. She's got her finger on the pulse of natural, quick and pithy dialogue and writes stories that are undeniably fun, steamy and dramatic. She's one heck of a writer with an enormous sense of fun. I fell deeply in love with Meg and John in her other 2009 release, Going Too Far (Simon&Schuster), and was eagerly anticipating her next title....as well as the two coming out in 2010. 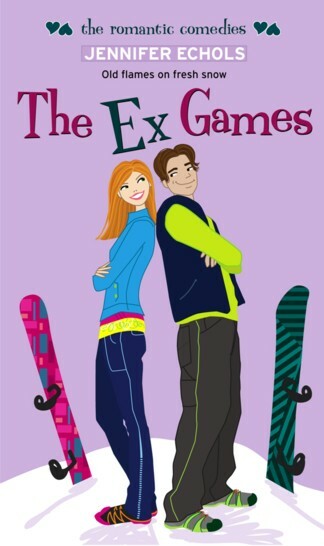 The Ex Games is Echols' newest release, her third title in the Simon Pulse Romantic Comedy range. Hayden and Nick used to be a hot item, but their brief affair ended with a highly publicized break-up. Now the two are “just friends,” excluding the occasional flirtation. When Hayden wins the girls’ division of a local snowboarding competition, Nick is unimpressed, claiming that Hayden wouldn’t have a chance against a guy. Hayden calls Nick’s bluff and challenges him to a head-to-head boarding contest. Their mutual friends quickly take sides, the girls on Hayden’s and the boys on Nick’s, making for an all-out battle of the sexes. This friendly competition is bound to get heated--and if they’re not careful, they might end up igniting some old flames. Jennifer allowed me to interview her about this story detailing the battle of the sexes...and exes. You aren't a snowboarder, so how did you learn the basics (including the lingo) for people who live in that world? I do snow ski, and I tried to draw on that knowledge as much as I could. I already knew some of the lingo because it’s similar to wakeboarding lingo, which I learned for The Boys Next Door. I also watched the Winter X Games in its entirety, plus a lot of snowboarding DVDs. Comedy is hard yet you've had three romantic comedies published through Simon Pulse...what's your approach to writing funny, relevant but not cliched stories? I write the book I want to read. I also study a lot. I love how-to-write-a-book books, and I’m always trying to improve my craft. Your audience (I am assuming) is largely female and your editor is male, do some concepts whizz over his head? Yes. However, he has left the company, and I now have a new girl-editor. 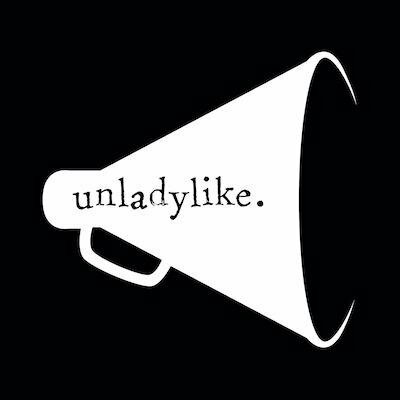 Also, my critique partner has a male editor who loves all her ideas, so I don’t think maleness makes whizzing a given. Wait, that didn’t come out right. You've had two stellar books published this year with two out in 2010...where do you find new inspiration? Actually, you’re seeing the published result, but behind the scenes...I wrote Going Too Far (2009) in 2005 and Forget You (2010) in 2007. I still have a big backlog. I write a lot faster than the publishing industry wants me to go. Or...I'm not all that speedy, but I write every day, and it adds up. You are also a copy editor - how does that affect your own writing? I copyedit something wildly different from my novels: one medical journal about allergies and asthma and another about physical rehabilitation. I enjoy that job, but I see it as a complete shift from writing--which is good, so I don’t get tired of doing one thing all day. While The Ex Games is a tale about a boy and a girl, it also tackles the concept of gender inequality especially in sport. The conversation between the genders in the pool could be taken word for word from my own life....how difficult is it to make it both true to their feelings yet funny on such a delicate subject? When I was writing that conversation, I was tracing my own thinking. You’re right, it’s a delicate subject, and one of the best sources of humor is a delicate subject thrown out in the open for everyone to see. The sibling relationship between Hayden and Josh cracked me up...was this purely fictional, because it really rang true? No, I have a hilarious adrenaline junkie older brother whom I have done a lot of snow skiing with. Generally this involves him going off cliffs and me watching in horror. Thank you! I’m excited about that book too! Endless Summer is the sequel to The Boys Next Door, and it will be released next June. I just turned it in to the publisher, Simon Pulse, yesterday. And now I’m getting started on the revision of Forget You, which will be published by MTV Books in July. It’s a romantic drama like Going Too Far. After her mother’s breakdown, a teen fears she's going crazy herself as she tries to piece together what happened the night of a car wreck she can't remember, and why her darkly handsome arch-enemy has fallen in love with her. Word amalgams....I learned about steeze (style & ease) from reading The Ex Games. Was there another that you were unable to incorporate into the book that you wish you had? No, by the time I finished, I’d pretty much used up all my Snowboarding Vocabulary Word Chapter Headings! Nick calls Hayden, Hoyden, and she needs to go home and look it up in a dictionary. Has a boy ever called you something and you didn't know what it meant? Not a boy but a junior high school principal. When I was a teenager, I got in trouble a lot for talking back to teachers. In one of these episodes, the principal told me to stop being flippant. I went home and looked it up and thought ohhhhhhh, now I get it. Thanks need to go to the delightfully flippant Jennifer Echols for kindly providing me with the opportunity to interview her again. Early this year I interviewed her on Going Too Far which you can check out here. And both Endless Summer & Forget You sound amazing! I can't wait for next summer!! Thank you for the great interview with Jennifer Echols & thanks to Jennifer for sharing. I loved learning more about Jennifer. So funny to have to learn a lingo to write a book - great interview! Fun interview! I ended up picking this up last night after work at the library and burned through it in a few hours. I think my favorite part of this book was the relationship between Hayden and her brother. I could not stop cracking up about the two of them. And the humor, ahh, the humor. It was a great read and I look forward to more of Echols' work, for sure. <3 to you and thanks for another great recommendation. Great interview! I think I might read The Ex Games next so I can get away from darker stories like Secret Society and Hush Hush, lol. I love Jennifer's books and can't wait to read this one! And she's just as much fun in person as she is online- I was so happy to have the chance to meet her this past summer. She rocks! Sara: I'm excited for next summer too. I just got covers for Endless Summer and Forget You within a day of each other and I can't wait to share them! RKCharron: I am the only author not on Twitter. At least, that's what it feels like. I have taken a few steps back from the internet lately because I have gotten really busy with deadlines, and something had to give. This is a happy prob, though, bc I love deadlines! Another book to write = woo-hoo! I just read Going too Far and am on the lookout for this one.